The Art of War is an influential ancient Chinese book on military strategy considered to be a prime example of Taoist strategy. But Sun Tzu also teaches about leadership, team building, and what makes a good General. Sun was born in Qi during the Spring and Autumn Period of China (722–481 BCE) and became a heroic general for the king of Wu, Helü. His victories then inspired him to write The Art of War. The king of Wu tested Sun's skills by commanding him to train a harem of 360 concubines into soldiers. Sun divided them into two companies, appointing the two concubines most favored by the king as the company commanders. When Sun first ordered the concubines to face right, they giggled. In response, Sun said that the general, in this case himself, was responsible for ensuring that soldiers understood the commands given to them. Then, he reiterated the command, and again the concubines giggled. Sun then ordered the execution of the king's two favored concubines, to the king's protests. He explained that if the general's soldiers understood their commands but did not obey, it was the fault of the officers. Sun also said that once a general was appointed, it was their duty to carry out their mission, even if the king protested. After both concubines were killed, new officers were chosen to replace them. Afterward, both companies performed their maneuvers flawlessly. Sun later proved on the battlefield that his theories were effective. Because The Art of War also touches on effective leadership, team building, decision making and overall management skills. The Art of War has much to teach us as Project Managers. Suffice to say, the basics of leadership and management haven't changed much over the millenia! 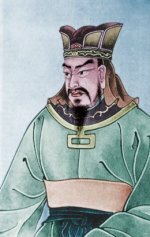 In Project Management, building a cohesive team is essential, as it was in Sun Tzu's day: "In war, the general receives his commands from the sovereign. Having collected an army and concentrated his forces, he must blend and harmonize the different elements thereof before pitching his camp. Maneuvering with an army is advantageous; with an undisciplined multitude, most dangerous." "The clever combatant looks to the effect of combined energy, and does not require too much from individuals. Hence his ability to pick out the right men and utilize combined energy. When he utilizes combined energy, his fighting men become as it were like unto rolling logs or stones. For it is the nature of a log or stone to remain motionless on level ground, and to move when on a slope; if four-cornered, to come to a standstill, but if round-shaped, to go rolling down." An effective team, utilising the right people in the right positions are easy to work with, and can achieve a great deal, much more than they can as individuals. But if you have a team of people without the right skills, without the right attiude, or without the right leader, then completing even the smallest task becomes problematic. I have seen many a project team start off with a great mix of people, but then the Project Manager, for reasons best known to themselves, place in leadership positions those least likely to succeeed. People with no leadership or people management skills quickly lose the respect of their teams! As a General in wartime, managing a vast army, some of whom you expect to die for you, is surely one of the greatest leadership challenges. However we also face our own leadership challenges as Project Mnagers. It is rare to work with the same people from one project to the next, so we are always building our teams. Therefore we should heed anything that can teach us how to build a project team that will be loyal, respectful, and who will work as part of the team to achieve a shared goal. One of Sun Tzu's recommendations is "When you plunder a countryside, let the spoil be divided amongst your men; when you capture new territory, cut it up into allotments for the benefit of the soldiery". And isn't that as true today on projects as it was then. Good news, congratulations and praise should be shared with the whole team. Victories should be celebrated, and your team made to feel that they have made a valuable contribution. Sun Tzu however cautions us against being too soft hearted with our team. It is always a delicate balancing act as a Project Manager, to have professional friendships and respect for your team members, but not to let that friendship or respect cloud our judgement when it comes to making decisions or counseling staff for poor performance. As Sun Tzu says "Regard your soldiers as your children, and they will follow you into the deepest valleys; look upon them as your own beloved sons, and they will stand by you even unto death. If, however, you are indulgent, but unable to make your authority felt; kind-hearted, but unable to enforce your commands; and incapable, moreover, of quelling disorder: then your soldiers must be likened to spoilt children; they are useless for any practical purpose. If soldiers are punished before they have grown attached to you, they will not prove submissive; and, unless submissive, then will be practically useless. If, when the soldiers have become attached to you, punishments are not enforced, they will still be useless. Therefore soldiers must be treated in the first instance with humanity, but kept under control by means of iron discipline. This is a certain road to victory. If a general shows confidence in his men but always insists on his orders being obeyed, the gain will be mutual". Likewise on a project - a Project Manager should respect their staff, have confidence and trust in them, yet, when hard decisions have to be made that the team may not agree with, your team should be disciplined enough to acknowledge your decision as a leader and move on from there. over-solicitude for his men, which exposes him to worry and trouble"
Recklessness, which leads to destruction. Recklessness equals poor discipline. All decisions made by a Project Manager should be sound and based on facts and experience. There is no room for recklessness in projects, as there is no room during war. Cowardice, which leads to capture. I liken this statement to poor decision making. Sometimes a decision has to be made which is unpalatable either to you or to your team or Project Sponsor. But a brave (and effective) Project Manager makes a decision based on what needs to be done, not on what people want to be done. A hasty temper, which can be provoked by insults. A workplace is not the place for anger or losing control of your emotions. As a leader, we have an extra responsibility to demonstrate to our team what constitutes acceptable behaviour. Losing your temper at work is never acceptable behaviour. If something rouses you to anger, count to ten under your breath, and then deal with the matter reasonably. A delicacy of honour which is sensitive to shame. The Project Manager must put the project above personal feelings and emotions. They must always do what is right for the project, regardless of how that might make them feel or look to others. Over-solicitude for his men, which exposes him to worry and trouble. Now Sun Tzu is not saying here not to have respect and empathy for your team. However, he is saying that as a leader you should not be so close to your team that it clouds your judgement. If you have ever managed a project where you had a good friend working on it, you will understand how uncomfortable this can become. Not only can you seem to favour this person in the eyes of others, but it can be very difficult to counsel good friends for poor performance without affecting the relationship outside of work. By all means be friends with your team, but keep the friendship professional, and never let it stand in the way of making the right decision. This final point also touches on authority and respect for you as Project Manager. Without your team's respect, you have no real authority over them (except in name). As Sun Tzu says "When the general is weak and without authority; when his orders are not clear and distinct; when there are no fixed duties assigned to officers and men, and the ranks are formed in a slovenly haphazard manner, the result is utter disorganization". This is true in projects as it is in the military. 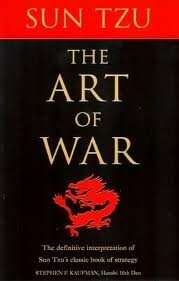 The Art of War by Sun Tzu is well known as one of the most respected military strategies in the world. However, Sun Tzu also had a lot to say about effective leadership, team building, decision making and overall management skills. And what he says is as relevant today for Project Managers as it was then for Generals. The Manage That Project price for The Art of War is only $12.95. There's no risk to you. When you buy The Art of War, we are offering a 30 days, no questions asked, 100% money back guarantee. That's right - if you don't like it, don't keep it. Just send it back to us here at ManageThatProject (email to info@ManageThatProject.com) within 30 days, and we'll send you your money back.